A curious cat got the joyride of her life when she stowed away on a small plane. 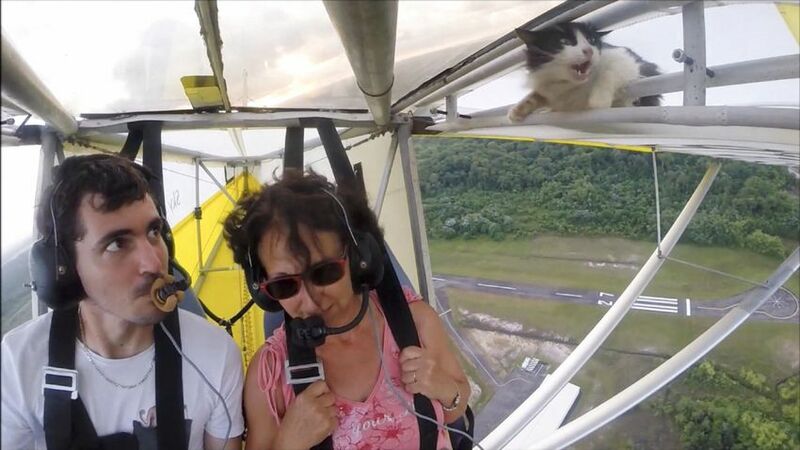 Romain Jantot from Kourou, French Guiana, the plane’s pilot, posted a video on YouTube of the scared-y cat clutching the plane’s wing for her dear nine lives high up in the air. The video has been viewed more than three million times. “A standard flight until…I still don’t know if it got in after the pre-flight check or if I missed it. The cat is doing well, she is still our mascot,” he wrote on YouTube. It took a little while for Jantot to notice the cat perched on the left-hand wing — his eyes popped when they finally locked with the terror-filled feline. Ever the pro, Jantot kept his cool. In an e-mail, Jantot told the Star that he has known the cat for many years. In fact, she’s the unofficial “mascot” of his flying club, Le club Ultra Léger Motorisé in Kourou. The cat hung on throughout the landing, and Jantot waited until the plane had made a complete stop before shooing her away. As a beloved member of the team, the cat, who doesn’t have an official name but is referred to by staff as “Minou,” “Chat” and “Mimi”, returned to the flying club, where she is being well-cared for. Jonathan Harvey, a flight instructor at Canadian Flyers out of Markham Airport, said birds have been known to build nests inside plane propellers, Harvey said, which is why pilots check before each flight. But while Jantot may have missed the stowaway kitty, Harvey praised his quick-thinking. “Good piloting to make that decision to come back,” he said. Jantot is not the only one with a flying feline. 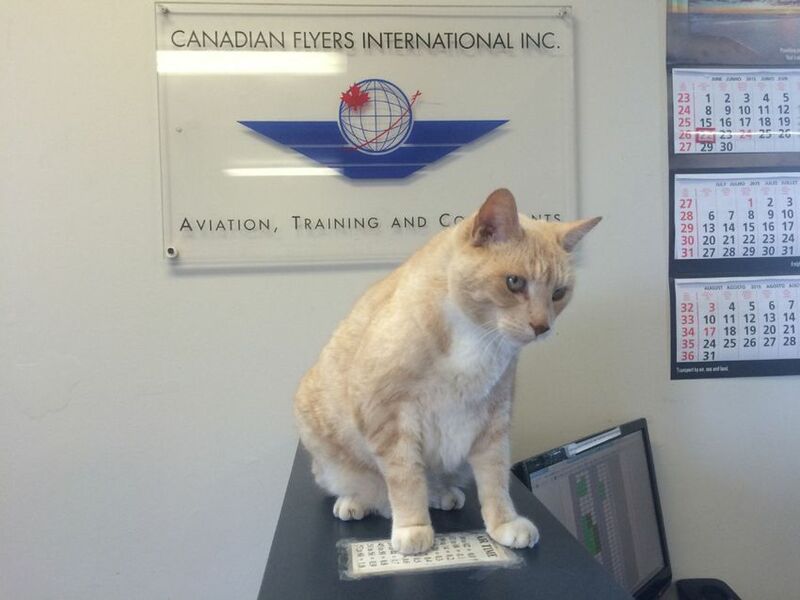 The Canadian Flyers have their own mascot, a 13-year-old orange tabby named Piper, who also once snuck on board. But luckily, Piper got to ride cargo. Piper has an important job at the school — to kill mice. In return, he gets fed, taken to the vet and lots of love. “He’s our longest running employee,” he said. © 2018 Big Man World. All Rights Reserved.